Our Organizational Design and Implementation Service is directed to enterprises in establishment processes, in expansion or those requiring a review and appraisal of their organizational structure. Design and implementation of the organizational structure. Design and implementation of the activities and administrative/operating functions. 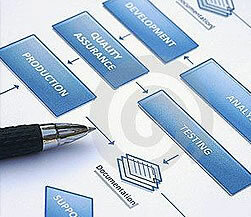 Design and implementation of policies and internal procedures. Design and implementation of forms for administrative control. The expected benefits are geared towards rationalizing the organic structures, functions, policies, rules and procedures and, also, towards reducing costs, in order to improve the business's efficiency and effectiveness.